Greetings, dear readers! I hope this post finds you well and your week has been off to a great start! It's been an odd week around here with lots of changes to our usual routines, so I'm having a hard time already keeping track of the day of the week! At least it has been a good week thus far, even if it has been busy! 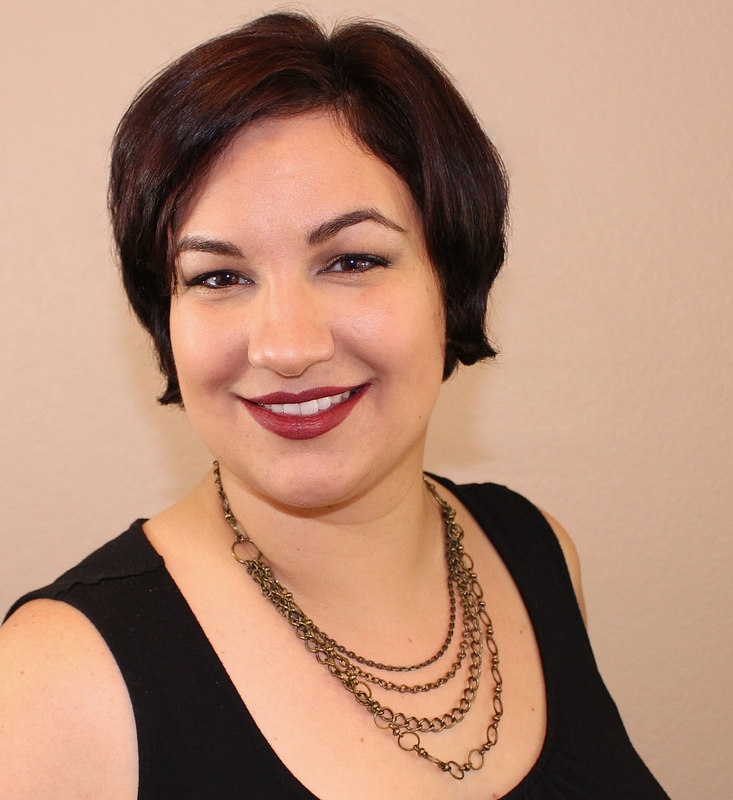 Now on to today's blog post! Now that Easter has come and gone, many of us have our sights set on summer, from the long, sunny days, to the fun activities with friends and loved ones. 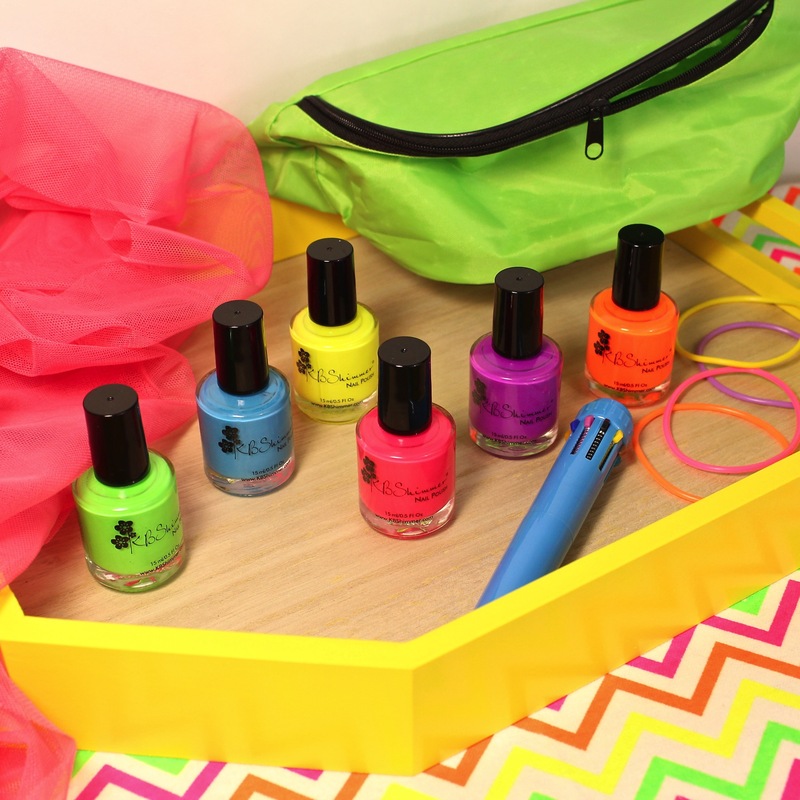 Neon nails are all the rage, with our fingertips and toes as HOT HOT HOT as the sweltering heat. 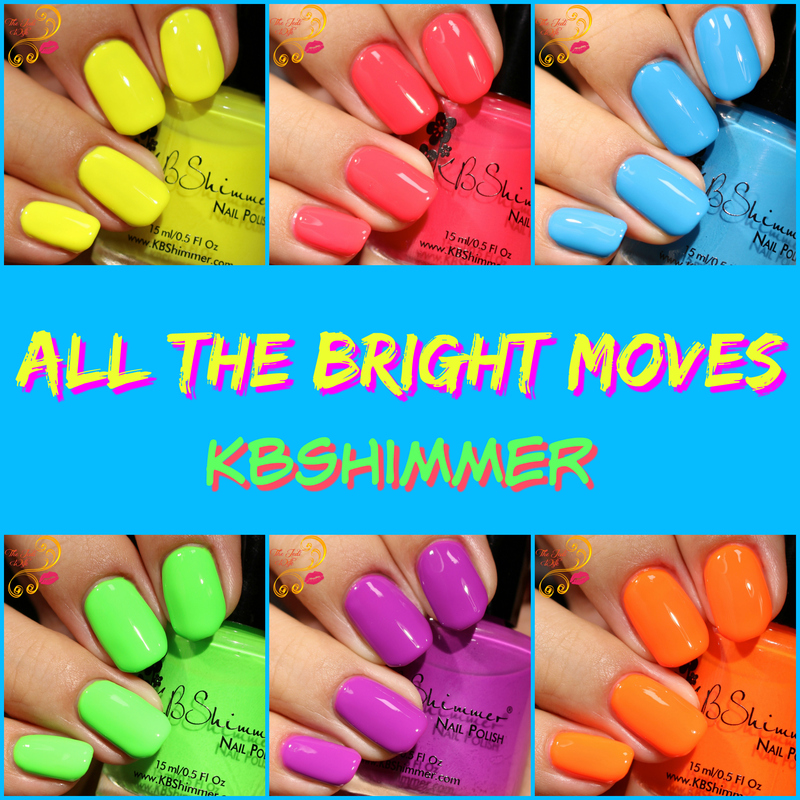 To get your nails ready for the summer, KBShimmer is launching All The Bright Moves, a six piece collection of neons that pay tribute to the days of the late 80's and 90's. Reviewing this collection has been an interesting blast from the past, but these colours are anything but dated. Let's check them out! This crelly cream is a shockingly bright watermelon color, a neon red with warm pink undertones. This juicy shade will have you longing for summer vacation, mix tapes, and 90210 reruns. Glows under a black light! I am personally a sucker for watermelon shades, so Color Me Rad is one of my favorites from the collection. You can bet I'm going to be matching while I'm spitting seeds this summer! Shown with three coats here, the formula was nice and easy to work with. The first coat was a little uneven, as expected with a neon formula, but it leveled out perfectly with subsequent coats. Boy bands got a huge start in the 80's, with groups like NKOTB driving tweens crazy. Neon lunchboxes, posters, and t-shirts were coveted by adoring fans, with these teen heartthrobs making us go crazy! This blazing orange throwback shade has all the right stuff that neons should have and glows under black light too! An orange that pays tribute to boy bands? I could die from the excitement of this! Like Color Me Rad, the first coat was a little uneven, but this settled out beautifully with subsequent coats. I'm surprisingly usually hit or miss when it comes to neon orange, but I am definitely digging this shade! I am not sure what is more embarrassing, my neon three tiered skirt with layered socks, or the highlighter yellow fanny pack I rocked. But one thing I know for sure, I had to have all the neon! This vibrant, electric lemonade yellow shade is almost as shocking as my neon fanny pack, especially under the black light where it really glows. I'm not sure why the last photo here is uploading to look more pastel, but All The Bright Moves is definitely a BRIGHT yellow shade! I've found neon yellows in particular to be very tricky to work with, and while the first two coats were a bit uneven, it mostly leveled out with the third coat. It isn't quite as smooth as the others in this collection, but with neon yellow being notorious for being finicky, I'm actually impressed with this one. Slime was everywhere as a kid, from kids getting slimed on game shows, to glowing green ghosts in movies. This neon green cream with its crelly like finish would have looked awesome holding your Ecto Cooler drink box. It may come as a surprise to you, but we're a big Ghostbusters family! While I don't think my kids can handle the films at their young ages, they have been introduced to the cartoon series I remember watching and love it! I love the colour and the formula of this slimy beauty! I had the slightest bit of thin spots with two coats and added a third for these photos, but some may find they only need two coats for opacity depending on nail length and how thickly you tend to apply your polish coats. From playground games like Pog, to gross game shows like Double Dare, kids of the 90's loved to have fun doing crazy things. This vibrant sky blue shade is reminds me of the crazy colored sets of game shows, with its near neon hue, this electric shade is a summer must have. A little confession first: I have never played Pog, nor have I ever understood the appeal of the game. Even if Pog wasn't quite my jam, I adore this gorgeous blue shade! The formula was fabulous and rather densely pigmented. While I needed two coats, those that use thicker coats than I do may find one is sufficient for opacity with careful application. I cannot imagine my childhood without Lisa Frank. Unicorns, dolphins, and any sort of girly item they could make, in its bright and colorful glory, graced my folders, Trapper Keeper and pencils. This red toned, electric violet is a blast from my Lisa Frank sticker filled past. Ah, the days when organization via Trapper Keeper was considered cool.....how I miss those days! While I love ease of keeping things tidy and in their place on my computer on spreadsheets galore, there was something satisfying about holding my notebook where everything was labeled and in its proper place. In it contained my assorted folders, decorated with my preferred Lisa Frank images, and this polish certainly was a flashback for me! The formula was fantastic, and while I needed three coats for opacity, I was *thisclose* to getting away with just two. Those that paint in thicker coats or having shorter nails likely can get away with just two coats. KBShimmer will be launching the All The Bright Moves Collection at The Polish Convention in Brooklyn, New York on April 29th. It will launch online at KBShimmer.com, Amazon.com and at select salons and retailers May 5th. These polishes are sure to grab everyone's attention with the added twist of bringing back hopefully fond memories from the past! I'm particularly partial to Color Me Rad, Please Don't Glow Girl, and Double Pog Dare You, but they are all fantastic and you can't go wrong with any of them! Do you have a favorite shade from the All The Bright Moves collection? I'd love to hear your top picks! I'm glad that neons are starting to appear, it means summer is here! So bright and cheerful! I saw that these also stamp - NEED! I love these neons. Color me rad looks amazing on you! I'm kinda surprised that Glow Girl is the one that jumps out at me! What a great orange! These are gorgeous! I will pick up a few! Great pics. Super duper in love with this collection, think it's my favorite KB collection of all time!